Whether you're a fleet manager, expediter, owner-operator, or school bus fleet supervisor, Espar of Michigan (founded in 1989 as Proficient Heat Inc.) provides the idle reduction and climate control products and services you need to reduce fuel costs, increase engine life, and maximize comfort for drivers and passengers. As the North American specialists in the Espar (globally branded as Eberspaecher) product line, we work closely with you in selecting the heating and cooling systems that best fit your needs. At Espar of Michigan, we also understand that even the best tools are only productive when they're used properly. Therefore, we offer product orientations that include one-on-one operational instructions, maintenance schedule review, and online materials -- all to help you achieve the highest possible return on your investment. Over the past three decades, Espar of Michigan has built a longstanding team of experts in our parts, service, and warranty departments to ensure that you receive the product support you need, when you need it, to maximize the life of your new idle reduction system. As fuel prices escalate and more local governments pass strict anti-idle laws, the days of idling truck engines for interior comfort are over. So, call Espar of Michigan to help you select the right Espar products and parts for your application -- and budget. I just wanted to drop a line and say thanks! Re-comissioning our Hydronic 10 was challenging and we would have not been able to do so without your fantastic support. We have a local espar dealer, but chose to do business with you because of your great pre-sale service. You guys were patient and took the time to answer my questions. Your support after the sale was spectacular! We will continue to use you for all our future needs with our Espar heater. Thanks again. "The Team at Espar of Michigan is friendly and honest. They know their business and they treat you right!" "My Rigmaster has over 7200 hours on it and I always trust Espar of Michigan to service it for me. They have the parts and the know how to make it right!" "Espar of Michigan has kept our Customers and Drivers warm for over 14 years!" "My Espar Heaters have been cost effective by saving me fuel, a 100% tax write off, great for the environment, comply with idle laws, therefore giving me a peace of mind and the comfort and convenience are outstanding. ray and his team are professional, friendly, honest and willing to go the extra to meet your needs. thanks Espar of Michigan!" Our reference # is CHC-2008-004. Download a copy of our CARB approval letter below. We've sold, installed and serviced Espar (Eberspaecher) systems for nearly three decades, giving our customers greater confidence that they're making the best choice for their application. Since we specialize in Espar, we carry a large inventory that enables us to respond quickly and deliver the idle-reduction systems, components, and parts you need, when and where you need them. 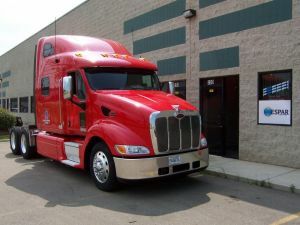 Whether you operate one vehicle or a large fleet, you receive one-on-one attention to ensure the optimal system selection, proper installation, and fast service turnaround times.